The greenhouse shade net refers to knitted plastic netting used to protect all greenhouse grown crops. 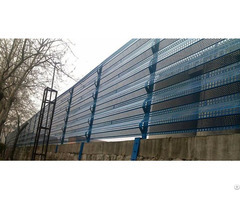 Knitted HDPE mesh works with aluminum strip or polyester strip to form shade screen system. Standard greenhouse shading system is made of aluminium strip or plastic frames, covered with foldable HDPE knitted net screen as shading materials. The mesh netting is used for greenhouse of vegetables, flowers, fruit, tree seedlings, mushroom cultivation; also shade netting for cooling and heat insulation in the open air operations. We can offer you some kinds of material just as PP, HDPE, PB, PVC, PE and recycle, virgin. Two needles shade rate 40%-80%. Three needles shade rate 50%-85%. Six needles shade rate 60%-90%. Nine needles shade rate 70%-90%. 1. 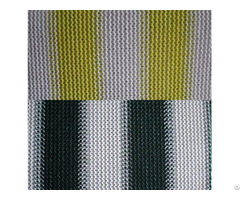 The knitted structure of the plastic mesh shade cloth allows sufficient water vapour to pass through, preventing condensation drops to form on the underside of the screen. 2. The flexible structure also allows the screen to be folded into a very small bundle in an open position, making a maximum light transmission possible. 3. Open-structure: the open spaces allow for sufficient airflow, resulting in a considerable reduction of the air temperature even at high temperature during the day. It can offers considerable decreases in heat loss from the crops while the screen is closed at night and the plant temperature will stay higher. 4. The ultraviolet treated polyethylene material offers long term use and durable protection fabric for the greenhouse frames. 5. 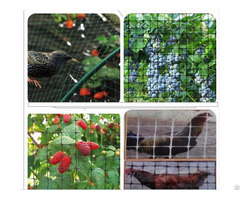 The pvc netting also works as bird netting to protect the greenhouse crops and plants from hurt by small birds. Hence, the shade cloth guarantees a low daytime temperature as well as very high energy savings, and keeps the greenhouse temperature close to the ambient temperature during the night. Also keeps the birds away. In this way, the crops, young seedlings can grow at a smooth temperature and can grow well. Working life: 3 to 5 years. 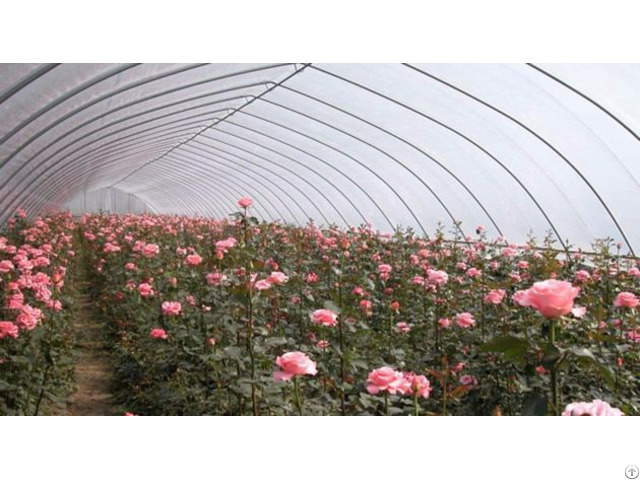 Nursery Greenhouses of Flowers: Plastic Netting Used in agriculture as ventilate shade net for greenhouse, offering the features of light reflection and transmission, breathe freely, long usage life and stable performance. 3.2m, 4.3m, 5.3m, 6.2m. Other widths are available on demand. 1. Light reflection: Special aluminum and plastic give the shade net superior reflection and transmission efficiency, offering sufficient light transmission. 2. Long usage life: The applied UV-stabilizers are resistant to all common chemicals used in greenhouses. 3. Stable performance: The special knitting structure and good aluminum foil of the shade net keep the screen neat and aluminum strips fixed. 4. Small occupation: the unique knitted structure reduces condensation and allows them to be bundled to a small size for maximum available light.